Dry shampoo is a powdered substance used to clean the hair when you want to extend the length when it is not practical to use water and traditional shampoo. If you’re strapped for time and you need to freshen up your locks (after the gym, before a night out, or if you are like me and hit the snooze button too many times), dry shampoo serves as a fantastic option. The ingredients in dry shampoo soak up oil and dirt on the scalp. When your hair appears greasy, it’s usually just the roots (close to the scalp) that need to be refreshed. 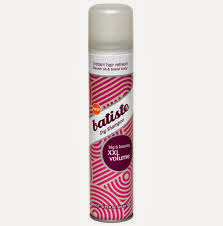 Applying a dry shampoo effectively soaks up any oil and dirt, leaving your hair looking refreshed and clean. There are basically two types of dry shampoos: ones that come in a loose powder form and ones that come in an aerosol (spray) form. Powder dry shampoos can be applied directly on to the scalp from the bottle and either brushed through or massaged in using your fingers. 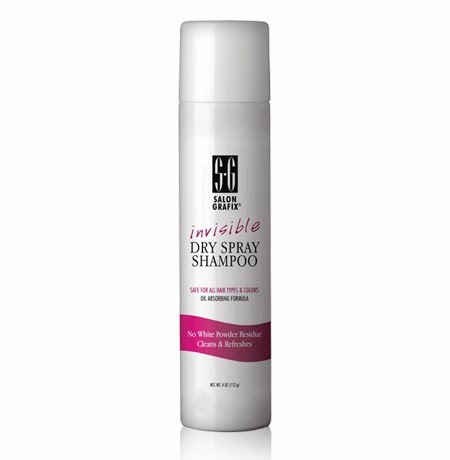 Dry shampoo aerosols can be sprayed directly onto the scalp from a few inches away and likewise may need to be brushed or massaged through the area. Loose powder Form is usually better for fine hair. DO spray at least six inches away from the roots. This will lightly and evenly distribute the product without creating buildup. DON'T spray on damp or wet hair. It's called dry shampoo for a reason. DO wait about a minute or so before styling. Because it is a powder base, it will look like powder is in the hair. Don’t panic when you see that it comes out white, take time to let the product sit long enough. DO remember to comb through the hair or massage the dry shampoo into scalp. DO use on roots and ends to add a modern matte texture. DON'T worry if you get dry shampoo on the mid-shaft. This gives extra grip to the hair and provides more volume, decreasing the too-soft feel fine hair can sometimes have. There are many products available –Check the product label and choose the one depending on the type of your hair and the needs of your hair (oily, dry, no volume). You can check reviews and if the product is reliable. Ask around if you know anyone who is familiar with beauty products and dry shampoos in particular. Quickly comb your hair and make sure there are no tangles. If your hair wet due to sweat, dry with a towel if you have time. If you are using dry shampoo spray, using small sections, hold the hair straight up and spray the shampoo into the scalp. Spray over the top portion of your head and gently massage so that it spreads. For texture on the ends gently spray the ends, working hands through the hair. Allow 6-8 minutes for it to fully absorb the grease and then brush and style the hair. Time permitting; you can also blow the hair with a hair dryer. If you are using dry shampoo powder, the process is very similar. Instead of spraying the substance, you sprinkle the powder into the scalp ( kind of like baby powder). Massage it and spread it over the top portion of your head. Brush your hair so that it spreads evenly through out the hair and gives the fresh look and fragrance to your hair. Now you need to clean up the residue and remove any remaining powder in your scalp. Gently brush your hair or use a hair dryer to remove the dust. That’s all there is to it. The whole process should not take more than 5 minutes. If you are using the dry shampoo regularly, you will be able to do all this in 2 minutes or less. Compare that to the effort it takes to use wet shampoo and then drying your hair. It is a good idea try some free shampoo samples to check which one works best, if you haven’t bought anything yet. Big brands offer free samples in their website. The best hair shampoo available in the market may not work well with your hair. So you might have to try few brands before you settle with one. This was the first one I tried, at first I loved it! Once you start massaging your scalp you can see the volume happening! 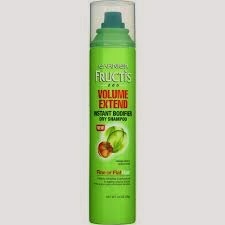 Easy application, gives great texture on ends of hair, had a baby powder smell, strong aerosol. After using this product for awhile I noticed my hair would feel like straw throughout the day. I color my hair so I’m not sure if that has something to do with it. I would still use this brand but maybe more with an up do. This one has a wonderful smell! Directions say to spray on roots and comb through hair right away. It is a great root booster! I felt my hair did feel oily again throughout the day. I still think this is a great product but I use it for ponytails, messy buns – mostly in an up do. So far this is the best one for my hair type and texture. I spray the root sections and wait about a minute, massage into scalp and then lightly spray the ends for texture. I find this product gives my hair a clean feeling all day and holds my style – up or down. With each of these products I first bought the small tester bottles – how can you go wrong paying $3 - $5? I liked them so much I purchased the full bottle once tester was finished – and that lasted quite at least a month or so. They all are great and for different reasons and styles.